Today, music finance firm Sound Royalties announced a $3 million commitment to assist the bands and artists impacted by the ongoing financial issues at PledgeMusic. Following recent reports of music crowdfunding site PledgeMusic missing vital payments to artists, Sound Royalties is stepping in to help the creatives who have been left without the funding they had anticipated. The music-focused specialty finance firm has announced that it is committing $3 million to help fund the creative projects of the musicians affected. With $3 million set aside for qualifying musicians, Sound Royalties is offering its signature royalty advances at an extremely low interest rate of 4% for one year. In keeping with Sound Royalties’ core values, all royalty advances let creatives keep their copyrights and allow for overflow income. Creatives who have recently reported problems with PledgeMusic include electro-industrial band ohGr, rock group Fastball, instrumental world music band Incendio, folk-rock duo HuDost, Canadian rapper illvibe, singer-songwriters Amanda Duncan, Mike Evin, Mick Thomas, Joanna Wallfisch and dozens of others. Music professionals impacted by issues at PledgeMusic are encouraged to contact Sound Royalties today at 1-844-4ALL-MUSIC or info@soundroyalties.com to see how its team of Royalty Specialists can help them continue their creative projects with capital designed to protect their copyrights. Credentialed media interested in interviews or more information may contact Pamela Armstrong at pamela@redbanyan.com or 618-267-6305. 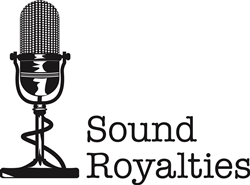 Founded by CEO Alex Heiche, Sound Royalties, LLC is a privately-owned specialty finance firm that helps music industry professionals fund personal and professional projects without ever losing ownership of their copyrights and allowing for overflow income. The company's core business is offering royalty advances of anywhere from $5,000 to $10 million. It does this by advancing artist, producer and songwriter royalties paid through music labels, distributors, publishers and PROs such as SoundExchange, BMI, ASCAP, SESAC and many more. To date, Sound Royalties, LLC has worked with a wide range of leading music industry professionals, including GRAMMY Award winners, platinum recording artists and notable music industry executives in every genre. Learn more at https://soundroyalties.com.